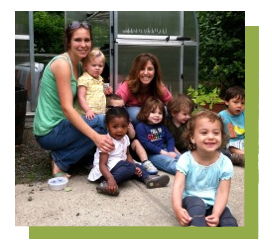 Mount Kisco Child Care Center Making the difference, when it counts. The Center’s staff consists of an Executive Director, Finance Director, Office Manager, Development Officers, Social Worker, Nurse, one Head Teacher and two Assistant Teachers in each classroom and two substitute teachers. Head Teachers are required to have an Associates Degree in Early Childhood Education or a Bachelor’s Degree in Education or a related field. Assistant Teachers must have a High School Diploma and commit to working toward a Child Development Associate Credential within the first year of employment. There are nine classrooms, nine head teachers and 26 assistant teachers. All staff members receive a background check, are finger printed and screened through the NYS Central Registry of Child Abuse. When children and seniors are together, they are always “double supervised” and are never left alone. Infants (3 months-18 months): 3 teachers with 8 children; Toddlers (18 months-3 years): 3 teachers with 10 children; Preschool (3-5 years): 3 teachers with 16 children; Afterschool (K-5th grade): 5 teachers with 40 children. Infant A Head Teacher, Victoria Rivera, has worked with children of all ages but she especially loves working with infants because she enjoys watching them grow in many different ways. She loves to help them create new friendships and start to recognize different objects and sounds. Every day is a chance for the children to learn from one another. Infant B Head Teacher and Infant Program Supervisor, Giovanna Pennella, has rejoined MKCCC, having previously held Head Teacher positions in Toddler and Pre-K K classrooms. 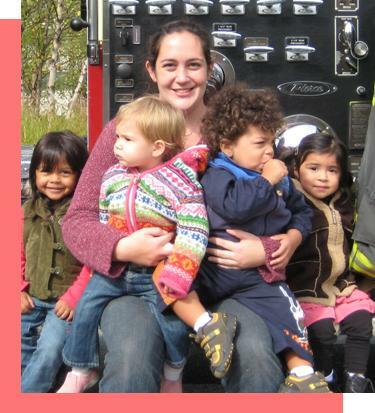 Giovanna has a Masters Degree in Early Childhood Special & Regular Education and has worked with children in EI, CPSE and other areas of early childhood education as both an educator and administrator. Giovanna is very happy to be back at MKCCC and working with our littlest ‘students’! Toddler A Head Teacher and Toddler Program Supervisor, Vanessa Kardos, became a teacher out of her love for children and for the rewarding experience in helping them build a solid foundation for the rest of their lives. She loves reading to her toddlers and feels strongly that emphasizing literacy at a young age strengthens these foundations. Vanessa also believes the JEWEL program is a special experience that emphasizes the importance of role models in a young child’s life. 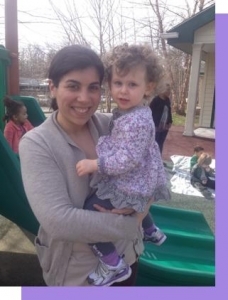 Toddler B Head Teacher, Alyssa Poccia, has an Associates Degree in Early Childhood Education and enjoys working with toddlers because of their creativity and imagination. Every day is an opportunity to play, learn, discover and grow with toddlers. The world is full of possibilities with toddlers and we learn from them every day. Toddler C Head Teacher is Deja Spruill. Deja most enjoys talking with the children to hear them tell tall tales about their daily adventures! Pre-K A Head Teacher and Preschool Program Supervisor, Laura Rubin believes that every moment is an opportunity to learn. She brings this attitude to her preschool classroom and instills in her students a sense of curiosity. Inside, Laura watches the eagerness with which her students learn about cooking new foods, and outside she both plays with her kids and teaches them about the environment. Pre-K C Head Teacher Sloane Hinkley has been with MKCCC for 9 years. She has an Associates Degree in Early Childhood Education and her Bachelors Degree in Interdisciplinary Studies. Sloane enjoys working with the children and incorporates their sense of curiosity into the classroom. Learning is fun when it’s done through lego creations, art drawings, conversations, and focusing on the children’s individual interests. Their personalities and sense of humor shine through! Pre-K K Head Teacher Kerry Wilson has loved working with children for as long as she can remember and has worked with kids of all ages. She is very perceptive about the ways in which children learn – in particular, she has found that her pre-schoolers learn a lot from group discussions, free play, and the positive examples set by the older kids. She also teaches her students the importance of naptime, which, on their spirited days playing and learning, demonstrates how to calm and regulate their bodies. After School Supervisor, Stacey Ford, has been with MKCCC for ten years. 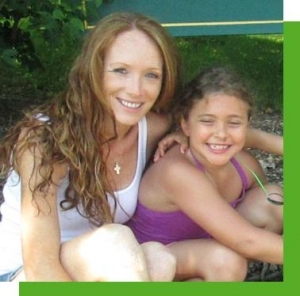 She worked in the preschool classrooms for 8 years and has been overseeing the after school program for 2 years. She brings her love of sports to the program from her son and ensures the children get outside and play after a full day at school! She is also responsible for planning great activities for school vacation days and ensuring the Summer Camp program is the best it can be. The Feed Me Fresh gardening program is one of her favorites, as well as spending time with the seniors in our JEWEL program.